Home › Valley of flowers › Only one hurdle in visiting Valley of Flowers this year. The broken bridge over river Alaknanda at Govindghat. Only one hurdle in visiting Valley of Flowers this year. The broken bridge over river Alaknanda at Govindghat. Today morning I talked to a local person who has a hotel at Ghangaria and houses at Pulna Village and Bhuandar Village. I asked him about the latest position of Govindghat and possibility of a trip to Valley of Flowers in near future. The main hurdle between the Valley of Flowers trip in 2013 is the absence of a bridge over Alaknanda River. But I hope It will be constructed within a month. I was discussing with Mr Raghuveer Chauhan, he told me that the hotel owners are coming together to construct the bridge if the authorities will not do it. I promised him to do as much help I can do financially to construct that bridge and I am in talks with other site owners who organize trips to Valley of Flowers to contribute. I appeal everyone who is willing to support for the cause can contact me. Even a small help will be very useful. I was told by Mr Raghuveer chauhan that Village Ghangaria is ok and if the bridge is constructed over the river the Valley of Flowers trips will be possible in upcoming months of 2013. Following is a video showing how hundreds of vehicles were swept away in Alaknanda. This is video of just one such vehicle. We human beings are very tiny in front of nature. We damage nature and nature takes revenge like this. Let us stop damaging nature. Although I try to give best information from my sources but there may be differences in actual position. Please take your decisions carefully. I will not be responsible for any loss due to any information here. I am totally dependent on information passed on by locals. 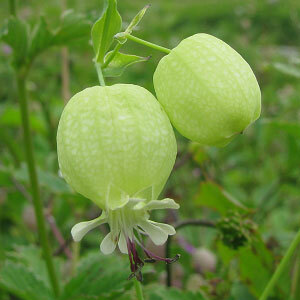 Please follow the blog for daily updates about Valley of Flowers trip, 2013. ‹ Valley of Flowers trip, 2013 : Govindghat Washed Away by Alaknanda! What about the Valley of Flowers trek and the hurdles this year? According to times of india, it is not possible to visit the valley this year. I want to plan this trip in the first weak of August. The bridge which is mentioned in the article is under construction. As per officials it will be constructed by June last week. So in the month of August you can have a trip to Valley of Flowers. I would like to visit in the month of August 2014. As last year roads washed out .. Is it possible / advisable / safe to visit ? You can plan to come to valley from second half of July to late August. You can reach Ghangaria easily with some extra effort. I can post Mr. Raghuveer Chauhan’s phone number here. But if you want you can call me I will give you his phone number and arrange for your stay at Ghangaria. You will be able to go to Hemkund Sahib but not to Valley of Flowers. A vital bridge is still not constructed 500 meters ahead of Ghangaria. Please tell how many of you will be coming. Flowers are intact. If you are getting an information that the flowers are destroyed is totally wrong. I know the geography of the area and it could not happen. Moreover no one has been to Valley of Flowers after the disaster as a vital bridge connecting Valley of Flowers and Ghangaria Village is swept away. You can read this post on latest update for Valley of Flowers trek, 2013 for more details and keep following my blog for latest information. You can read this post on latest update for Valley of Flowers trek, 2013 for more details and keep following my blog for latest information. I have sent you a mail regarding your fixed departure. Thanks for your updates, keep them coming. I have a trek planned from Aug 3 and hope it happens or would I have to reschedule…! Hello mr sangwan. I have been regularly reading your blog. we have planned a trip to Valley of Flowers at the end of august this year. our trek will start by 23rd august . do you think situation would come back to normal in joshimath and govindghat by that time. what should we do? should we cancel our bookings or should we wait for some time? I strongly hope that the situation will be at least ok by August this year. I will recommend you that please wait and watch. you can ask questions here I am constantly in touch with locals.